We are delighted to welcome Elaine Doyle as the facilitator. Elaine is a specialist in strategic communication planning and execution and public speaking coaching. In this hands-on workshop session, Elaine is going to introduce us to the fundamentals of using effective communication to build stronger networks. This is a great tool, not only for business, but for your connections outside of the workplace as well. If you have business cards, please bring them along for a fun activity. Three Critical Elements Leaders Need to Motivate Others in the workplace, coaching, teaching and parenting. 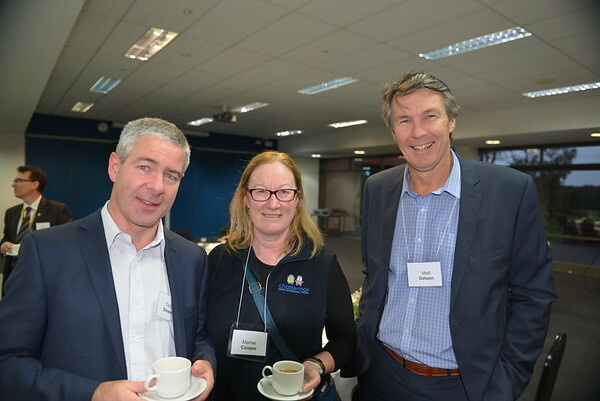 We are excited to announce our Business Network launch for 2018 will be a breakfast on Friday 23 March. Given this is our first event for the year, the theme is exploring the physical, mental and emotional dynamics for achieving your best. Our special guest keynote presenter is Nathan Burke. Nathan enjoyed a long and successful AFL playing career with St Kilda FC and then later as a member of the AFL Match Review Panel. He brings a wealth of knowledge and experience in creating rituals and developing personal routines to seize the opportunity to reach peak performance. Come and learn the essential techniques needed to take more control over your success at work and in life. Everyone with a Marcellin connection is more than welcome to attend any or all of these events. It is a great way of connecting with others who share a Marcellin bond and potentially benefitting individuals via new contacts etc. Whether you are an admirer of fine automotive engineering, in the market for a new executive vehicle, or just love being part of the Marcellin network – our next event has something for everyone. Bring: Business Cards, other work related material you may wish to share, friends, work colleagues. Business Network member, David Aussems (and recent past parent) will be our host. Breakfast will be served in the showroom, and there will be plenty of time to meet others and network whilst admiring the merchandise! 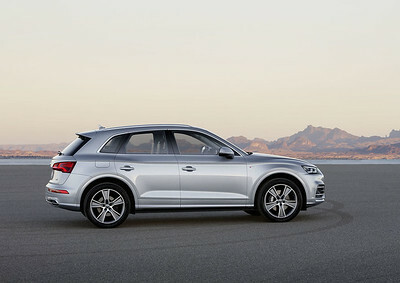 We will hear from Andrei Zaitzev, the general manager of Audi Business. He will give us a brief history of Zagame Automotive and discuss the current market offers and challenges faced in the aotmotive industry. Many of you will be aware of the Marcellin-Zagame connection - Bobby Zagame is a Marcellin Old Collegian (1983) and we are delighted to welcome his business on board as one of our preferred partners.  Make sure you mention the Marcellin Connection if you are interested in getting a quote for a vehicle (you will get the sharp end of the pencil) and also the Foundation will receive a donation for every vehicle sold. So come and join us on what promises to be a very enjoyable and informative start to the day. This is for everyone. We’d love to see all of our regular faces there as well as lots of new ones as well. Please feel free to bring others along who may be interested. 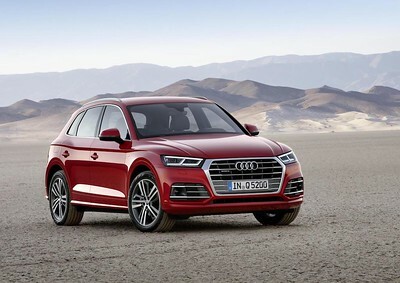 Win a Weekend Drive Experience worth $1,000 Audi Centre Melbourne are offering a two day weekend drive experience behind the wheel of a new Audi of your choice. The winner will pick up a new Audi on a Friday afternoon for a weekend of stylish, high-powered adventure and return the vehicle on Monday morning. PLEASE NOTE CHANGE OF DATE-PUT IT IN YOUR DIARIES AND NEW INVITES WILL BE ISSUED EARLY 2017. Come along to this inaugural Fundraiser for the Foundation. This night promises to be lots of fun, so forget the business and work world for a night (although we're sure it will still be a great place to get some quality networking done!) and come and join other like minded Marcellin community members for dinner, music, laughs and a turn or two on the dance floor. The venue is the CUB Function rooms which offer a great space. You will be served a delicious 2 course dinner accompanied by background music. There will be a comedy show from the one and only Peter Helliar, and then we invite you to hit the dance floor as the band cranks up the music. I trust the new year has got off to a flyer for you. 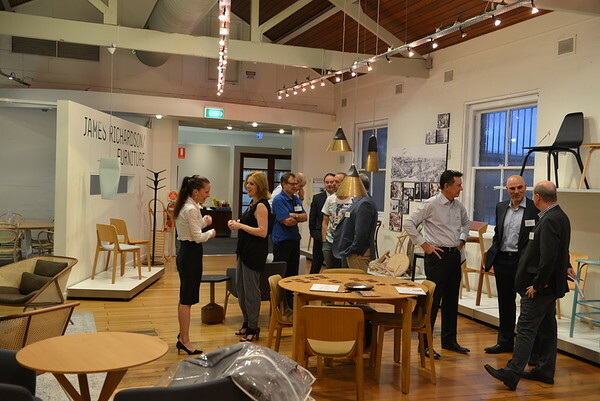 To launch what promises to be a bumper 2017 for our Business Network, we are hosting breakfast at the beautiful Collingwood showrooms of our principal sponsor, JR Richardson Furniture, on Thursday 2 March. This event will be light on formality (there will be NO keynote speaker), instead we have set aside almost the entire morning for networking. We will spend a few minutes talking about our plans for the year ahead and our sponsor will say a few words too. It is a great time of the year in Melbourne and this is a perfect opportunity to reacquaint yourself with other members, meet new contacts and and celebrate being part of a fantastic community. There is ample street parking if you are thinking of driving, otherwise the location is not far from good public transport options. So come along and join us, we would love to see you. We are very happy to announce our Guest Speaker for this breakfast: Michael Oates. Michael is the General Manager Sales - Parcel and E-Com at Australia Post. "Having created start up companies including Australia's first online courier company, I love the challenge in identifying and securing new business opportunities. I am passionate about leading and motivating teams, creating winning strategies and helping my teams achieve success. Ensuring the customer is central to everything I do has always been my focus." Come along and be inspired by Michael's extensive Customer Service and Marketing Strategies. Marcellin College Business Network: How to Attract and Hire the Best Talent on LinkedIn. We would like to announce the next in our series of Business Network events. A breakfast meeting at the Linkedin offices in Southbank. Come along and visit one of Australia's most successful companies and see their very 'now' working environment. Everyone is welcome, but spots are limited to 60 participants so get in early to make your booking. A basic breakfast will be provided. Linkedin is the 13th most visited website in Australia, with over 433 million members in over 200 countries and territories, professionals are signing up to join Linkedin at a rate of more than two new members per second. Learn directly from Linkedin how to create a killer profile that will get you noticed, why this is important to getting hired, and how we can assist and expand your personal network and industry knowledge. 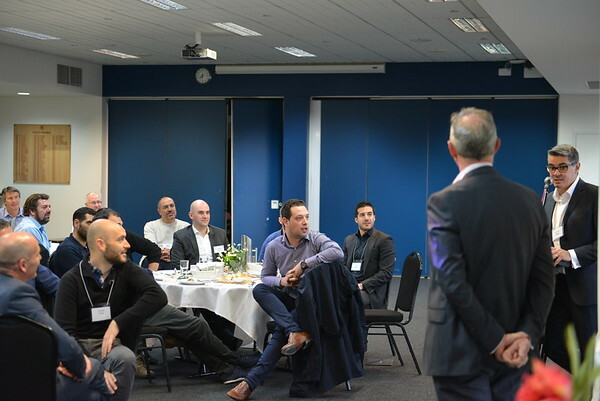 Kick off the Business Network year with our first breakfast for 2016. Our guest keynote speaker is Darren Taylor. Darren is Company Director of marketing company Taylor and Grace. Amongst other things, Darren will discuss branding of your company. His clients include Bluescope Steel, Aust Post, Macquarie Bank and Film Victoria. Darren is a very engaging personality and you will entertained and informed! We are allowing time to Network with other guests. We will be really encouraging this aspect of our events this year, so bring along your business cards, and any other marketing material you may wish to share with others. The first event for the year will be hosted in the Functions Room at Marcellin. We are encouraging our current parents to become involved in this initiative which will certainly expand the network. Get a table of 8 or 10 together, or come alone. Our caterer is promising a delicious breakfast so while you indulge, hear what our guest has to say. 07.00: seated. Please help yourselves to the platters of food on your tables. In the Manningham car park. There is a gate in the wire fence which will be open where you can walk through into the school grounds onto the Lyons oval.